With nearly 200 years of experience, Johnson & Matthey is a global reference in refining services. In 1851, Percival Norton Johnson, owner of a small gold refinery in London since 1817, joined with Matthey to form the Johnson & Matthey Company. Their craftsmanship and integrity led them to be named official assayers of the Bank of England and, a few years later, official smelters and refiners. In 1942, Johnson & Matthey started being quoted on the London stock market and was awarded an exclusive contract to refine de-monetized silver coins in 1946. Johnson & Matthey is now a multi-national company operating in more than 30 countries with a labor force of approximately 9,700 people. The group is active in several sectors of the economy, such as chemistry, automobiles, pharmaceuticals, oil, and precious metals refining. Johnson & Matthey’s gold and silver refineries are located in Salt Lake City, Utah, and Brampton, Ontario. J&M owns the most complete and advanced refining installations in the whole world. The four fundamental principles of the group are: Integrity, Security, Technology and Reliability. With a branch in the chemical industry, Johnson & Matthey uses advanced refining processes that let them offer products of optimum quality that respect the norms and standards imposed by the precious metals market. 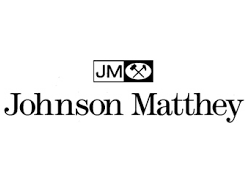 Johnson & Matthey has a large and diverse range of investment products. The most common sizes for silver bars are 1, 10, 100 and 1,000 ounces. The same sizes are offered in gold bars, including the 1 kilogram bar, the investment favorite. All bars have either the logo etched on them or a seal with the initials JM. Johnson & Matthey has not developed its services in gold and silver, but has specialized in advanced materials technology, using its technical prowess to add value to precious metals and other materials. Johnson & Matthey products have the London Bullion Market Association (LBMA) accreditation for Responsible Gold. Its products fulfill all the quality conditions imposed by the market. JM Refining is also certified ISO 9001: 2000. Sustainable development is a key to the company’s competitiveness. Since the precious metals used in its products are rare and expensive commodities, their recovery, recycling and re-use are essential to Johnson & Matthey.